We all wanted to create something that was beneficial to at least one group of people. One of us expressed that as computer science students, we tend to be more isolated when it comes to projects, learning, and opportunities. Because of this, we wanted to create something that could bring us all together for many reasons, whether it would be for forming study groups, helping each other learn a coding language, or even socially interacting. With this idea, we moved forward with Meet and CS. Meet and CS is a social networking site just for computer science students. 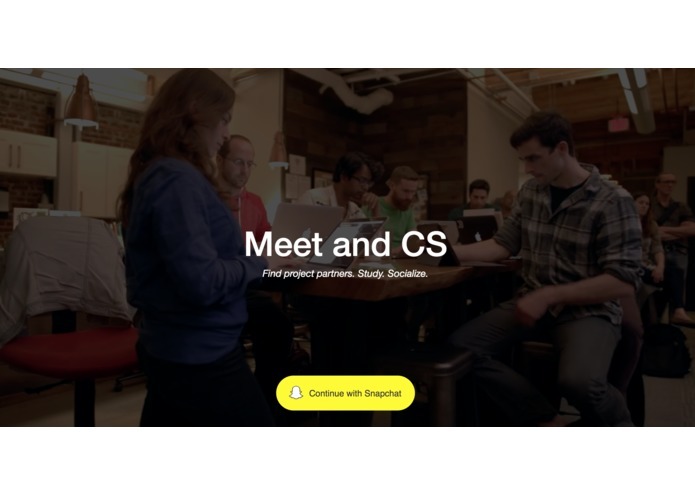 By creating an account, which can be done by linking through snapchat, users can arrange meet-ups with others by posting onto the feed, which is organized by category. 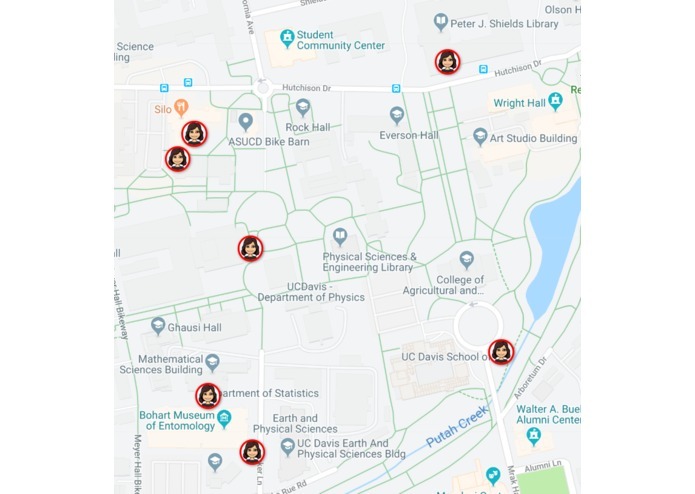 When creating a new post, users will be prompted for a title/headline, time, date, and location of the meet-up, an optional description of the meet-up, and access to the Google map that can be utilized to set the location. This site also has additional features such as instant messaging between other users. We learned how to successfully utilize multiple APIs within a Node.js environment. We all improved our skills in web development. We learned how to create a product while constantly considering the audience that it is supposed to appeal to, and we adjusted it based on what we thought they would need. With patience and persistence, it is possible to finish anything we put our minds too, even if we are not skilled in a certain aspect. We plan to put this site on a server and maintain actual user profiles within database, as well as more features available. We also wanted to automatically remove posts once the date passed, have users be able to comment on posts, hover over other users on the map to get more details, more features within every tab, more user profiles, and improve the cards. Worked on backend with Ben to implement the Snapkit API and Google Cloud Engine; updated front-end landing page and feed. I created the backend data table, and I also created and formatted some webpages for the site, as well as some of its components.